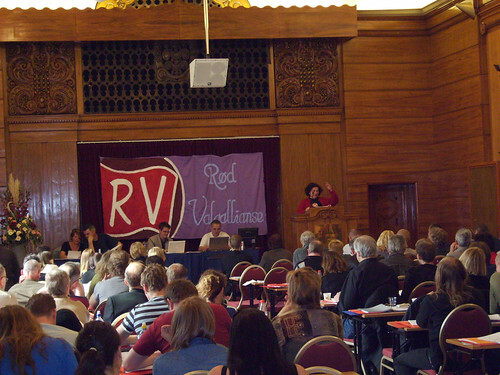 RV Conference, originally uploaded by alister. Back from Norway, land of the £5 pint, and the £9 sandwich. Not the place to go for a cheap weekend. I don't know how they can a-fjord it. ho ho. But an interesting place for politics. The Red Electoral Alliance conference voted to follow the example of the SSP and merge the forces of its components to form a new left party capable of having a broad appeal. Particularly important given the fact that the rest of the left is currently in government. How we can afford it? "Norway may regularly rank as one of the most expensive places to live, but the cost of living is not so hard on residents of the capital. Norwegians continue to have to work less to put food on the table, according to a study carried out by Innovation Norway, newspaper Dagsavisen reports. Less than two hours work is enough to feed the average adult Oslo resident food for a week. This makes Oslo the fourth cheapest city in a survey of 16 major cities in Europe and the USA."